My new work buddies; Kona and Lava. 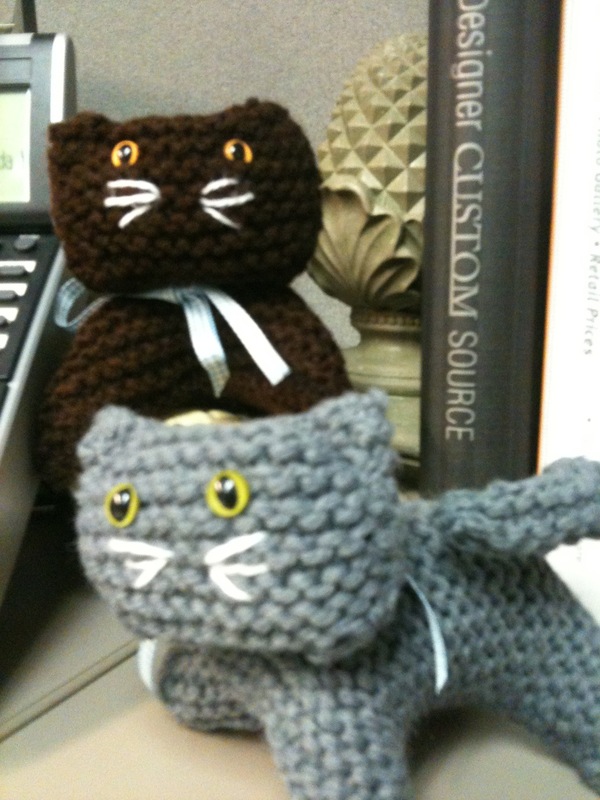 Thank you to Anita Winter, my office mate for sharing two hand knitted treasures from her Mother. Aloha!